Col. John William Kensinger, USAF Retired, 69, of Denton passed away on Wednesday July 26, 2017 at home. He was born on December 08, 1947 in Columbus, OH to William George and Sarah Louise (Moomaw) Kensinger. He married the love of his life Mary (Betsy) Philipson in 1969. John grew up in Greenfield, OH and graduated from McClain High School in 1965. He went on to Miami University in Oxford, Ohio, graduating with a Bachelor of Arts (BA) in English in 1968. In April 1968 he was commissioned into the United States Air Force (USAF) as a graduate of the Miami University ROTC program, and was called to active duty in April 1969 where he served as an imagery intelligence officer in Thailand and Germany during the Vietnam War. He was released from active duty in 1975, continuing to serve in the USAF reserves as an augmentee to Headquarters U.S. Air Forces in Europe, Headquarters Pacific Air Forces, the Defense Intelligence Agency, and Headquarters U.S. Air Force over the years. He performed reserve duty with Intelligence Research Detachments in Ohio and Texas, serving as IRD 41 commander from 1990-1994, and a special tour as augmentee to the Director of Applications, DCS/Intelligence, Strategic Air Command, Offutt Air Force Base, during the initial phase of Operation Desert Shield. He also served a special tour at the Tactical Operations Center, Langley Air Force Base, during Operation Desert Storm, and was serving as an individual mobilization augmentee (IMA) to Headquarters, U.S. Air Force, Intelligence, Directorate of Plans and Policy, Washington, DC at the time of his retirement 1999. He received numerous commendations for meritorious service during his years of service and retired with the rank of Colonel. John earned a Master of Business Administration (MBA) degree from the University of Utah during his service in Germany. Upon returning to the states, he earned his Doctor of Philosophy (PhD) degree in Finance from Ohio State University in 1983. He taught graduates and undergraduates at the Ohio State University, Southern Methodist University, the University of Texas at Austin, and the University of North Texas (UNT) in Denton. He was a Professor of Finance at UNT at the time of his death, where he had been the recipient of numerous teaching awards and the author of numerous publications in the field of finance in national and international journals and conference proceedings. 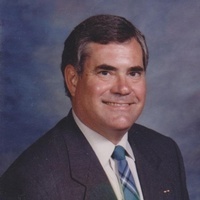 John was active in the Episcopal Church, having served as a vestry member, chalice bearer, lay reader, Christian education director, and teacher at all levels from kindergarten through adult in the churches that he attended throughout the years. He was still serving at St. David of Wales in Denton as a lay reader, chalice bearer, and leader of the adult bible study class at the time of his death. John is survived by his wife of 48 years, Mary (Betsy) Kensinger; two daughters, Katie Rose and husband Tony; Anne Horton and husband Paul; son, William Kensinger and wife Amy; three sisters, Susan Gingerich, Karen Howland, and Mary Anne Gilbert; and three brothers, James Kensinger, David Kensinger, Kevin Kensinger.He is also survived by his seven adoring grandchildren: Isabella, Sophia, Elliot, Claudia, Grace, Olivia, and Ryan. He will be deeply missed by all who knew and loved him. He is preceded in death by his parents and one grandchild. A Memorial service with full military honors will be held on Thursday August 3, 2017 at 10:30 A.M. at The Church of St. David's, 623 Ector, Denton, TX with an interment of his cremains immediately following. The family request that in lieu of flowers, contributions be made to the St. Therese chapter of the Junior Daughters of the King, in care of the Church of St. David's.